Drake brought out The Weeknd during his concert at the Konig Pilsener Arena in Oberhausen, Germany on February 25th for a stop on his “The Boy Meets World” tour. Weeknd came out on stage to perform “The Hills” and “Starboy” live, as well as bow down to Drizzy Drake while Drizzy called him his day one brother and “the biggest artist in the world”. You can check out some footage of this after the jump below. 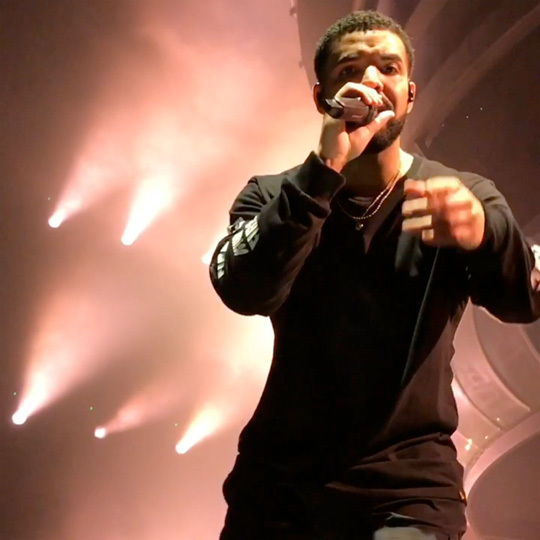 The 6 God will perform live in Antwerp, Belgium later tonight for the next stop on his current European tour! The Weeknd has released a music video for his “Reminder” song that was directed by Kid Studio. 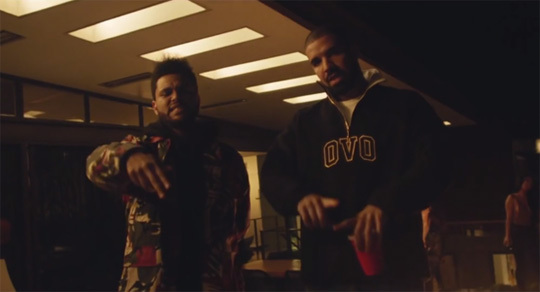 Throughout the visual, Drake can be seen making a few appearances to show that OVOXO is still going strong. As well as Drizzy, there are also cameos from A$AP Rocky, Bryson Tiller, French Montana, Travis Scott, and YG. You can check out Weeknd‘s “Reminder” video after the jump below. His Starboy album is available in stores now! The Weeknd recently did an interview with Zane Lowe on Beats 1 Radio to promote his new album, Starboy, available in stores now. 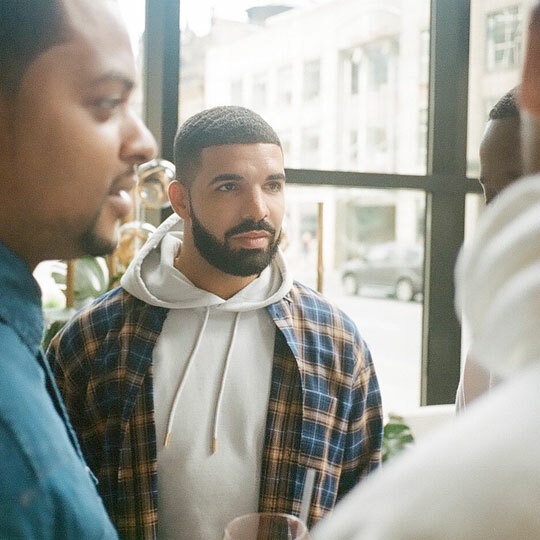 During their conversation, the singer chatted a little bit about Drake by revealing how thankful he is for showing the world his talent and supporting him. 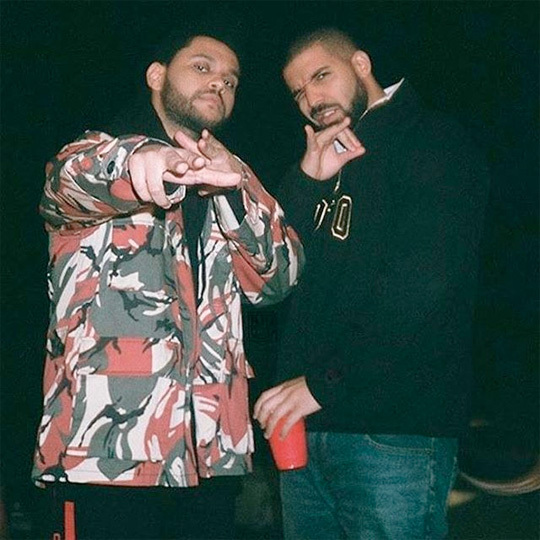 Weeknd also hinted that him and Drizzy could release a collaboration album at one point! You can see what Abel said after the jump below!